The global innovation leader in smartphones, Apple, is believed to be set to launch a new dual sim device. One of the prominent Apple whistleblowers, known for leaking reliable Apple information, has leaked new information about a new Apple Device that will offer dual sim capabilities, for the first time in the company’s history. It is expected that Apple would be releasing three iPhone X lookalike phones in the year 2018, and two of these are rumored to support dual-sim options. The US market – where Apple thrives – is not big on dual-sim phones, but they are highly in demand in Asian, Latin and European parts of the world. Apple is set to tap an even wider market if they include a dual-SIM feature in their upcoming phones. The upcoming phones are expected to be in the price range of $550 to $750. If the company launches phones with dual-sim functionality for $550, they can look forward to a possibly substantial increase in sales in the months to come. There is a huge demand for dual-sim phones and most android phones provide a dual sim feature, but Apple has not felt the need to cater to this somewhat niche market – but that may have changed now. Apple analysts say that these rumoured dual-sim phones are likely to increase Apple sales in China the most. It is believed that these dual-sim Apple phones would only be available in few countries. Apple’s iPhone X accounted for almost 35% of total sales of smartphones in Q4 2017. iPhone X alone generated five time more profit than the combined profits of 600 android OEMs during the same period. The top variant of the phones is expected to come with a 6.5-inch OLED display – almost the same as iPhone 8 – but the screen will be approximately 1 inch larger thanks to the edge-to-edge display. The other two models will sport a 6.1-inch screen and 5.8-inch screen. All of the upcoming phones are set to use the most advanced A12 processors. 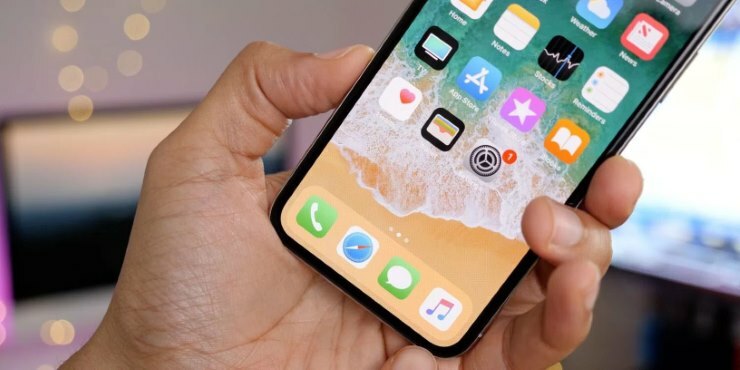 Apple has been trying to offer E-Chip capabilities in their phones, which helps the phone to connect with multiple networks without the need of a removable chip. However, network companies are resistant to the idea, hence dual sim phones will prove to be a compromise for Apple. The most important feature of the current flagship iPhone X, the widely renowned FaceID, will also be available in the upcoming phones.